Are you ready to take the first step on your 95 hour teacher training journey? Connect with Deven about getting started on your mentorship path and upcoming online courses to start training from anywhere in the world. Join us for a single inspiring module or commit to the whole 95 hour journey to become a Certified Children's Yoga Teacher. Every weekend module is designed to inspire, rejuvenate and equip you with tools you can share immediately with the children in your life! Self-study and practicum hours will complete your certification. This course will lay the foundation for anyone who wants to work with children in a yogic setting by exploring: guided meditations, breath exercises, partner yoga and mindful games for ages 2-6 years; Practice Teaching; Sun Salutes, Story Vinyasa and much more! Primary Ages covered: 2-6 years old. This training is ideal for anyone interested in becoming a children's yoga teacher, parents and caregivers. Module #2- Warriors of Loving Kindness (17 contact hours + 3 non-contact) No prerequisites. Learn what it means to be a Warrior of Loving-kindness and Steward of Safety, while gaining tools to share yoga and mindfulness. Primary Ages covered: 7-10 years old. This training is ideal for anyone interested in becoming a children's yoga teacher, parents, caregivers, and educators. Primary Ages covered: All Ages. This training is ideal for educators, therapists, counselors, administrators, parents and children's yoga teachers. Module #4- Express Yourself (17 contact hours + 3 non-contact) No prerequisites. This training is ideal for anyone interested in becoming a children's yoga teacher, parents, therapists, and counselors. Prerequisites Attendance of Modules 1 & 2 or equivalent. 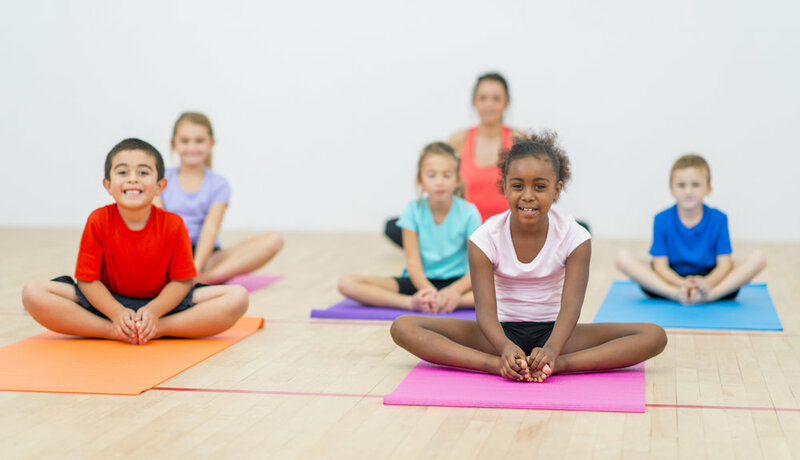 This training is ideal for anyone interested in becoming a children's yoga teacher, current yoga, kids yoga and AcroYoga teachers, parents, therapists, and counselors.